Whether it's techie talk or instant messaging acronyms, geeks have their own special language. 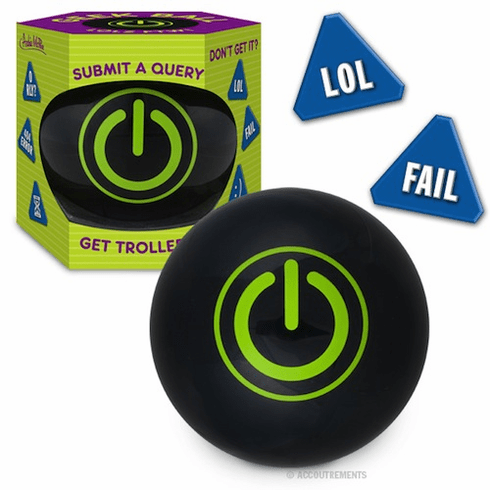 Fortunately, this magic ball is fluent in geek speak and features twenty answers that can be appreciated by geeks of all platforms and operating systems. All they have to do is ask the 3-3/4" (9.5 cm), plastic ball any yes-or-no question and it will magically respond with an answer that any true geek can understand. Responses include such classics as "Fail," "Can Has" and "Meh."